Stopping smoking is healthier for you and your family and there's lots of free support to help you. FREE courses to help people cook more healthily. "I feel much better now I've quit smoking - and I have more money to socialise with friends!" A personal plan and the right medication helped Ernest to stop smoking. "A campaign can come at the right time for you, and I think this came at the time when I needed it and could use it to motivate myself. I feel in control of my body." Jenny was already changing her lifestyle but found that One You Hounslow offered her a personalised non-judgemental approach to making these changes. Just 10 minutes of brisk walking every day can benefit your health, improve the way you feel and reduce the risk of a number of long-term conditions such as heart disease and type 2 diabetes. 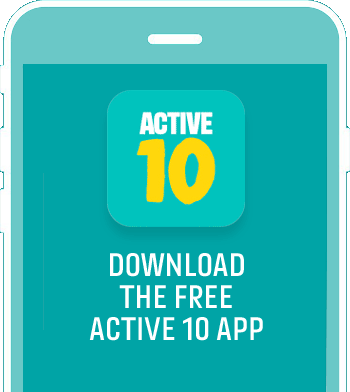 Active 10 quickly and simply shows you how many brisk 10 minute walks you’re doing and how to fit more into your day. Download it today to see how many Active 10s you’ve done.